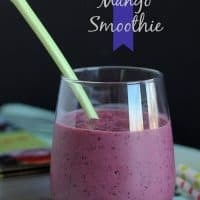 Blueberries, mango, banana, and yogurt come together in a smoothie that is healthy and delicious. Sluuuurp! This book has been a major labor of love for Julia, and let me tell you, her work paid off – the book is gorgeous! 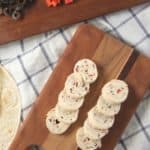 Here’s the scoop: Delicious Probiotic Drinks is chockablock full of good-for-you recipes that teach you how to make your favorite probiotic-filled goodies at home. 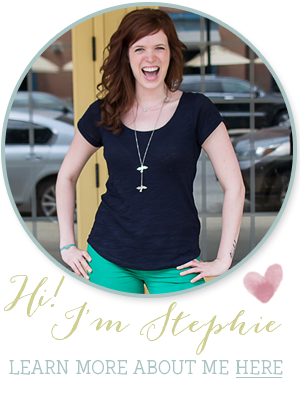 Ginger beer, kombucha, yogurt, smoothies…this book covers it all! And not only is it full of beautiful photographs (photographing beverages is hard stuff, guys, and Julia makes it look crazy easy), but it is perfectly written. Julia leaves nothing out of her instructions, walking you through each and every step in detail and answering questions that you didn’t even know you had! She also covers the health benefits of each and every recipe – we all know that probiotics are crazy good for us, but Julia tells us exactly why. I think the best part, though, is that while some of the recipes are more ambitious (brewing your own kombucha is no joke! ), others take very little time at all. 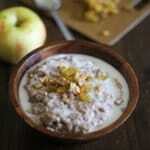 Making your own yogurt? Easy peasy. Using said yogurt in a delicious smoothie recipe? Even easier. 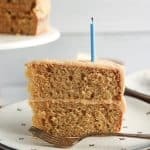 Find a recipe that meets your desired level of time and effort, and you’ll be on your way to a healthy, happy body in absolutely no time at all. 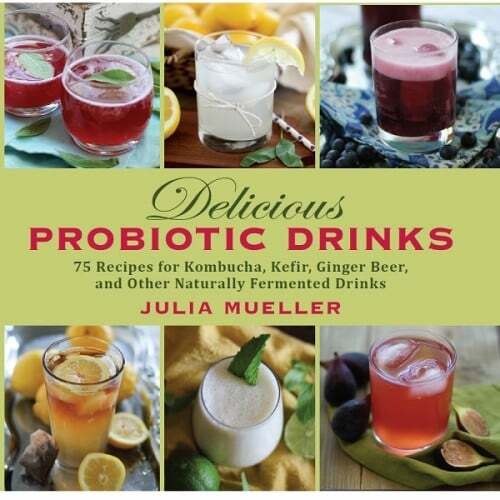 And because Julia loves EYHO readers so much, she is offering one lucky reader a copy of Delicious Probiotic Drinks! Just comment below and tell me: What is your favorite thing to drink? That’s it! A winner will be chosen and emailed on Sunday, February 23 at 10:00 pm (CST), and will have 48 hours to respond before a new winner is chosen. Good luck! 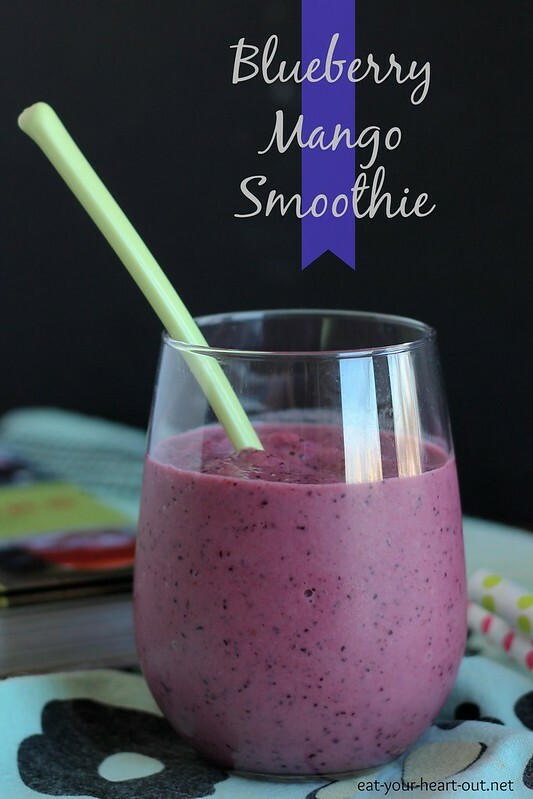 This Blueberry Mango Smoothie is one of those incredibly easy recipes from the book. You can use your own homemade blueberry yogurt to make this smoothie that is full of antioxidants and immune-boosting vitamins and minerals, or you can cheat and use your favorite store-bought yogurt. 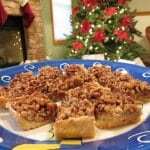 Either way, a healthy and delicious breakfast or afternoon snack is just a blend away. Add all of the ingredients except for the coconut milk to a blender. Blend until completely smooth. Pour the smoothie into two glasses. 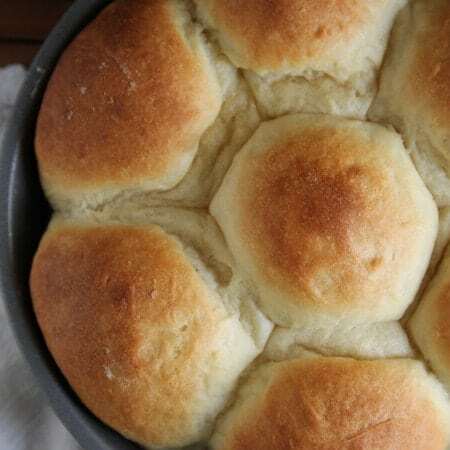 If desired, serve with a bit of coconut milk poured on top. While the original recipe calls for blueberry yogurt (a recipe for which is in the book), I used plain Greek yogurt and it was equally delicious! Isn’t that color amazing? Spoiler alert: I drank both servings for breakfast, it was that good. I love, love, love to drink green tea, anytime of the day, it always sounds good! 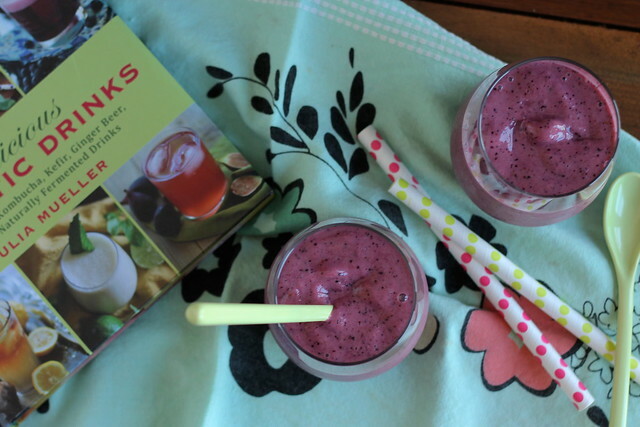 Thank you so much for sharing my book and smoothie recipe with your readers, my dear! I can’t thank you enough for all the support you’ve given me through my book writing gestation period. She’s finally been birthed and now it’s time to drink all them probiotics right up! 😉 Love you, lady! Love this smoothie. Sounds like a great book! 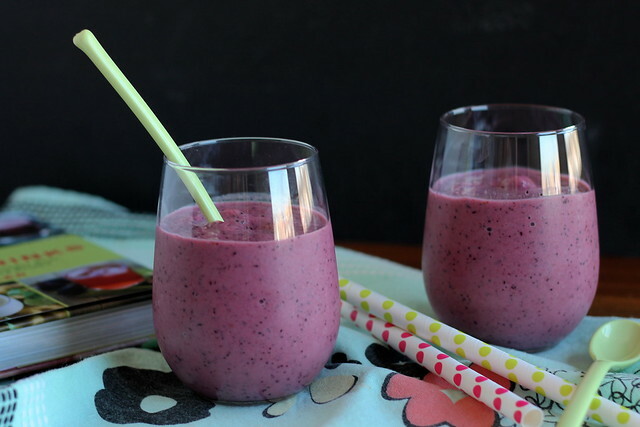 Blueberries are a must in my smoothies, especially for breakfast! My favorite thing to drink lately is a big mug of fruity green tea! Ooo! I have some frozen mango and frozen blueberries in my freezer. 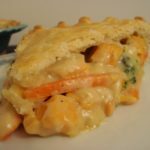 I think I’ll make this tomorrow for lunch and pretend that it’s spring and I can see green outside and I don’t live in a snow globe. I love the smoothie just how it is. I would love to win your book. 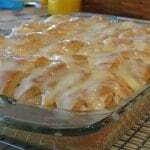 I saw some other recipes that sound delicious too!! I love almond milk! Thanks for the opportunity!! !